Marla is a free WordPress theme easily to customize. From a single page you can edit lively the colors, logo, footer, social icons, author bio, layout, etc. Started from a homepage with a pinterest like design with infinite scroll to single posts and pages in just one clean column. Translation ready and available in english, hungarian and spanish. Stout is a Primer child theme with a masculine vibe. Hestia is a modern WordPress theme for professionals. It fits creative business, small businesses (restaurants, wedding planners, sport/medical shops), startups, corporate businesses, online agencies and firms, portfolios, ecommerce (WooCommerce), and freelancers. It has a multipurpose one-page design, widgetized footer, blog/news page and a clean look, is compatible with: Flat Parallax Slider, Photo Gallery, Travel Map and Elementor Page Builder . The theme is responsive, WPML, Retina ready, SEO friendly, and uses Material Kit for design. Astra is fast, fully customizable & beautiful theme suitable for blog, personal portfolio, business website and WooCommerce storefront. It is very lightweight (less than 50KB on frontend) and offers unparalleled speed. Built with SEO in mind, Astra comes with Schema.org code integrated and is Native AMP ready so search engines will love your site. It offers special features and templates so it works perfectly with all page builders like Elementor, Beaver Builder, Visual Composer, SiteOrigin, Divi, etc. Some of the other features: # WooCommerce Ready # Responsive # RTL & Translation Ready # Extendible with premium addons # Regularly updated # Designed, Developed, Maintained & Supported by Brainstorm Force. Looking for a perfect base theme? Look no further. Astra is fast, fully customizable and WooCommerce ready theme that you can use for building any kind of website! Our 2019 default theme is designed to show off the power of the block editor. It features custom styles for all the default blocks, and is built so that what you see in the editor looks like what you’ll see on your website. 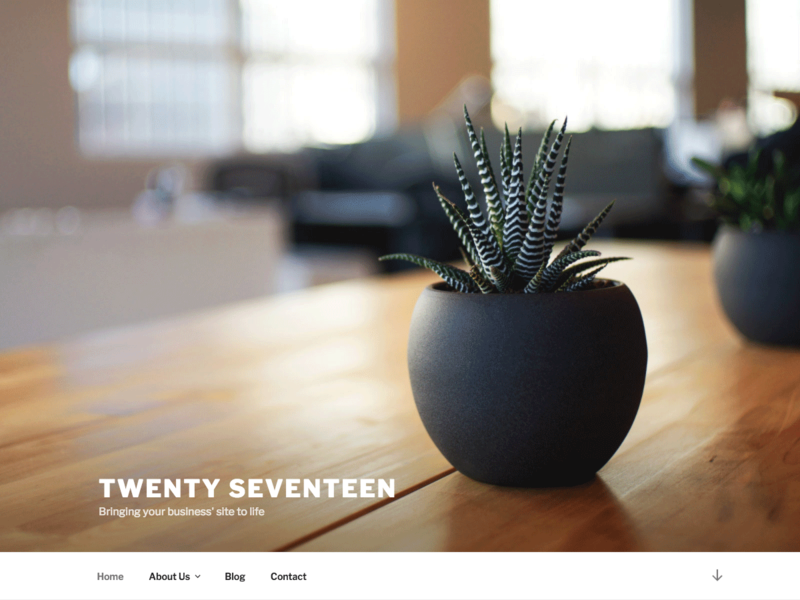 Twenty Nineteen is designed to be adaptable to a wide range of websites, whether you’re running a photo blog, launching a new business, or supporting a non-profit. Featuring ample whitespace and modern sans-serif headlines paired with classic serif body text, it’s built to be beautiful on all screen sizes.